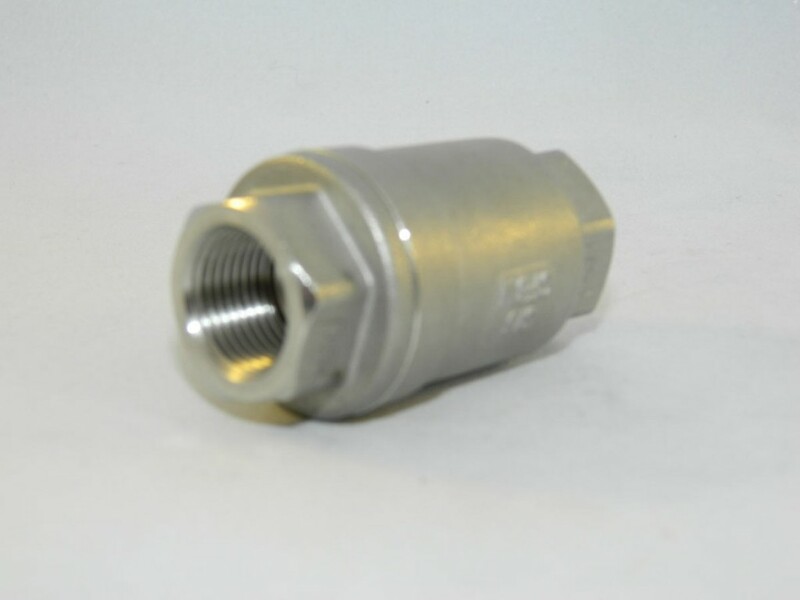 BSP stainless steel spring check valve, rated to Pn82 dependent on size. Available in size range 1/4″ to 4″. Body contructed from stainless steel grade 316 (CF8M) with metal seat and PTFE seals. Spring is 316 stainless steel.